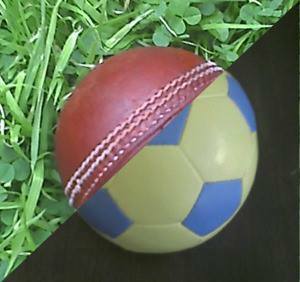 Home Cricket Analysis Cricket vs Football – Why is Football still most popular game? Cricket vs Football – Why is Football still most popular game? 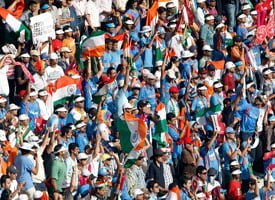 In a country like India, there is a large fan following for cricket. In fact cricket is considered to be a religion, there are very small rooms for any other sports. In the case of football, it is second most popular game in the country with a very little or we can say a shoe-string fan following. As expected , football has been a bench-warmer, just like any other sports in India. 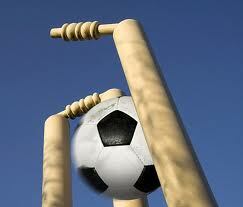 Here is the brief report on both the sports – Cricket vs Football. Cricket vs Football!!! Which one do you support? Cricket has been dominating Indian sports since few decades, but story was different in 60’s and 70’s. At that time, India’s national game, Hockey (still national game, with a diminished status) was the most popular game among members of the public. Football and Tennis were also popular at that time. In 1951 and 1962 Asian Games, India won gold in Football. During 60’s the Football team also qualified for regularly for summer Olympics. The team also was invited to play the FIFA World Cup in Brazil. It did not take part in the competitions as the players still were playing barefoot. Lack of funds and insufficient practice ahead of tournament prevented them to go to Brazil. Things changed in 80’s. India won its first Cricket World Cup in 1983, co-hosting the Cricket World Cup in 1987, Sachin Tendulkar making his debut in 1989, and much more. Addition to this, below par performance by Football and Hockey team gave advantage to Cricket for gaining a huge fan following. And from then there is always a concern with lack of organisation structure in Football, especially at youth level. are getting diminished. Most of the schools in India provide cricket facilities for children who are interested in playing cricket. Children with other sporting talents hardly find places where they could go and groom themselves. In India, very few cities like Kolkata, Pune, Panaji, Kochi, Chennai etc. where you find huge soccer fan following. Here schools also provide facilities to groom up their soccer talent. What we need is to develop sports as a daily activity at school level. And make corners for each and every sport a child plays. For example, in United States of America, they provide facilities for each and every sport a child plays at school level. Cricket vs Football!!! Which is better? Still many discussions are there to be done, but now lets see why Football overtakes cricket, becoming the most popular game in the world. 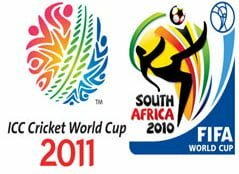 Cricket vs Football – Why Football is the most popular game in the world? In a duration of 90 minutes, you experience a range of actions, anger, sadness, happiness, hope, celebration and joy. Thais Football! But in case of cricket, it lasts at an average 4-hours (Twenty-20), 8 hours (One-Day) and 5 Days for a test match! Now say, the world in which live make every second count, who would sit for long time to just watch a game? And that is why, soccer is preferred over cricket. Whatever happens, heavy rain, snowfall or gale force winds, soccer must go on. Soccer is played irrespective of weather, but this cannot be said in Cricket’s case. If it rains, or any other weather problem occurs, a cricket match is either delayed, reduced (in case of limited overs games) or abandoned. Spectators get disappointed for this. Every football team has the motto “You’ll never walk Alone”. And yes, this is true. 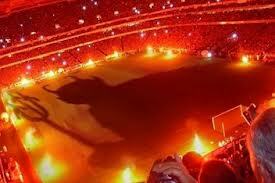 Football teams pride their victories to their 12th man, what we call spectators. You will see people screaming, dancing, enjoying for almost each and every pass in a high fever soccer game. But you will not see this in every cricket match. Matches like India v/s Pakistan, Australia v/s England have some full crowd support, but most of the times you will never find a full attendance in a cricket match. 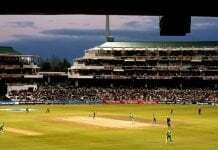 In most of the matches of 2011 Cricket World Cup, stands went empty. But in case of 2010 FIFA World Cup, the least attendance would have been around 60%. It shows how popular is Football, compared to cricket. You truly call it a World Cup, because in soccer every country in the world has a chance to qualify. Not just a few nations, each and every team take part in qualifiers. 32 nations play for the world cup. 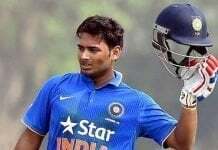 There are lot of surprises, lot of shocks in the world cup, and most of the time its unpredictable. In case of cricket there are only 10-14 nations hardly playing. The full time ICC members even don’t play qualifiers for the World Cup, the directly get qualified. Recently there was a proposal of withdrawing associate teams from World Cup, this means there will be only 10 teams competing for the World Cup. Football controversies are always the news of front page. Let it be Maradona’s drinking habit, transfer rumours, or Ronaldo’s new girlfriend. Football players are no less than celebrities of Hollywood. Most of the people don’t like to watch on-field controversies, like spot-fixing, sledging etc. Most of the cricket players are not highlighted in media. IPL is cricket’s answer to football’s EPL. IPL has gained tremendous response and gained success, but still for many of the people, IPL is a money driven tournament. So does EPL, but still players prefer to stay in their clubs instead of going to La Liga, Bundesliga etc. But things are different in IPL. In Champions League players prefer to play for their IPL teams instead of their local home teams. Still EPL has much more fan following then IPL. So football takes a bow here too! 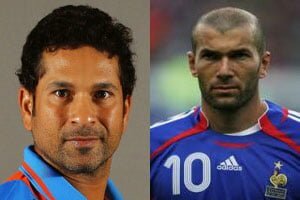 Players like Pele, Maradona, Beckham, Zidane are few legends of football. Even you travel to rural villages of Africa, you will find kids sporting in Beckham, Messi jerseys, playing football. Similarly in cricket, Bradman, Tendulkar, Richards are legends. But have you seen people wearing their jerseys and roaming around streets? In India, you will find people roaming around streets wearing Real Madrid, Manchester United, Barca jerseys, but you will not find anyone wearing any cricket jerseys instead of team India. IPL jerseys are seen to be very rare. Cricket is one of the forgiving sport. You might have seen many cricketers with a huge tummy. That reveals that they aren’t good at their body structure. But in case of football, each and every player is well built in his shape and size. The cricketers does not have much concern about fitness, because they don’t run as much as football players do in a single match. In football a player have to tackle, defend and slide. But in cricket, if you are batting just hit the ball in the right area to get runs, if fielding then just stop/catch the ball, or if you are bowling, try to get the batsman out. Cricket is known as Gentlemen’s Game, but still Football remains the beautiful game. Cricket might be a religion, but Football rules the world!